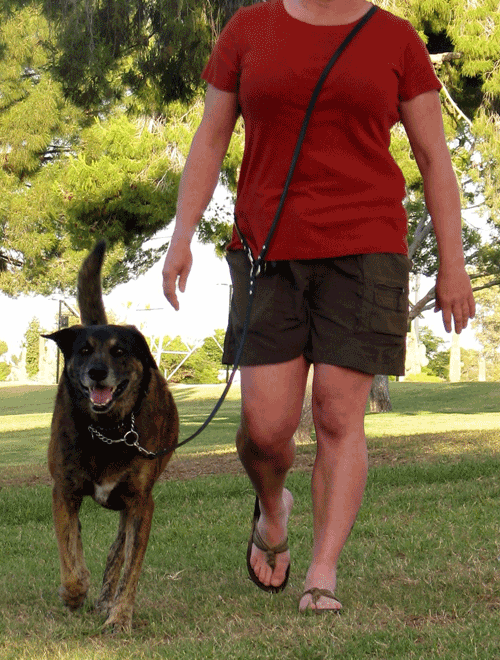 We feel that the ½ inch thick width of The Link Leash provides the optimal feel in one’s hand. The Link Leash has been used on the strongest of pullers and the largest of dogs and provides excellent control without failure, while still being wonderfully soft and supple. 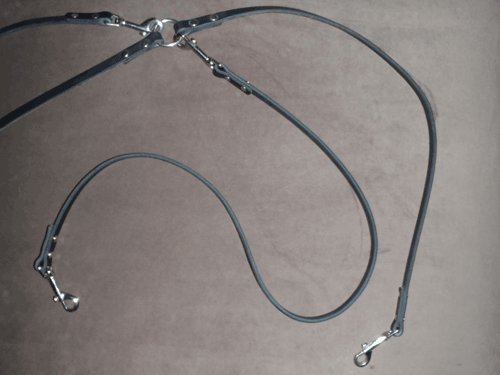 However, if you are interested in a thicker Link Leash, please let us know – we aim to please! Currently The Link Leash is only available in Black. Please contact us if you are interested in a different color. This is the original, folks! The last leash you’ll ever want to own! 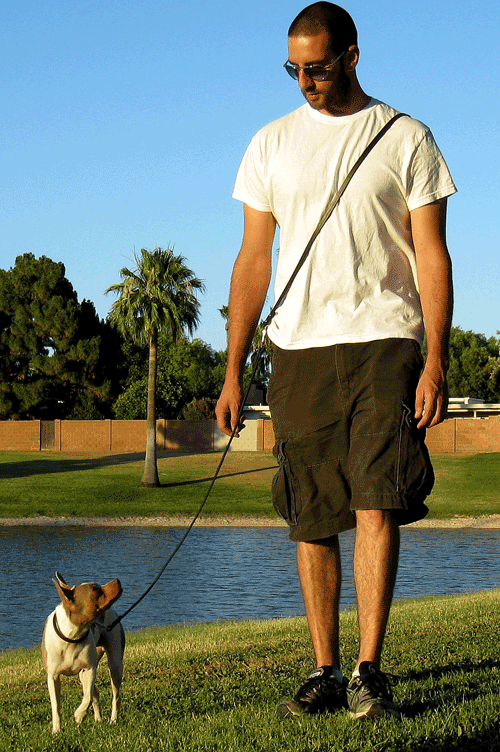 America’s best leash, now available for tall people with short dogs! An additional three foot leather piece with a snap hook on each end. Connect The Extra Link to the O-ring on The Link Leash and walk two (or more) dogs hands free. Contact us for wholesale orders or for orders totaling $725 or more.